A Republican state senator running for Missouri attorney general has received another big check from mega-donor Rex Sinquefield. Online campaign finance records show that Sinquefield gave $500,000 Friday to Columbia Sen. Kurt Schaefer. Schaefer likely will face off with University of Missouri School of Law associate professor and attorney Josh Hawley in a Republican primary. This is the second large contribution Sinquefield has given Schaefer for a campaign for attorney general. He gave Schaefer $250,000 around the same time last year. Sinquefield also has donated money to Republican gubernatorial candidate Catherine Hanaway and state treasurer candidate Sen. Eric Schmitt that could be used for their 2016 campaigns. $34,648,778.27. That may sound like the contract your favorite professional sports player just signed with his new team. But that’s actually the amount of money one man donated to Missouri politicians and political groups from 2008-2014. 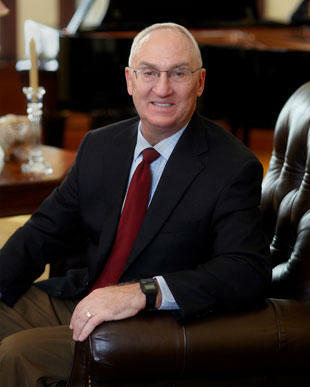 Rex Sinquefield is a retired businessman from St. Louis. He made his name and his wealth forming Dimensional Fund Advisors in 1981 where he worked until he retired in 2005. Since then, he has become one of the most, if not the most, influential political and philanthropic donor in Missouri.